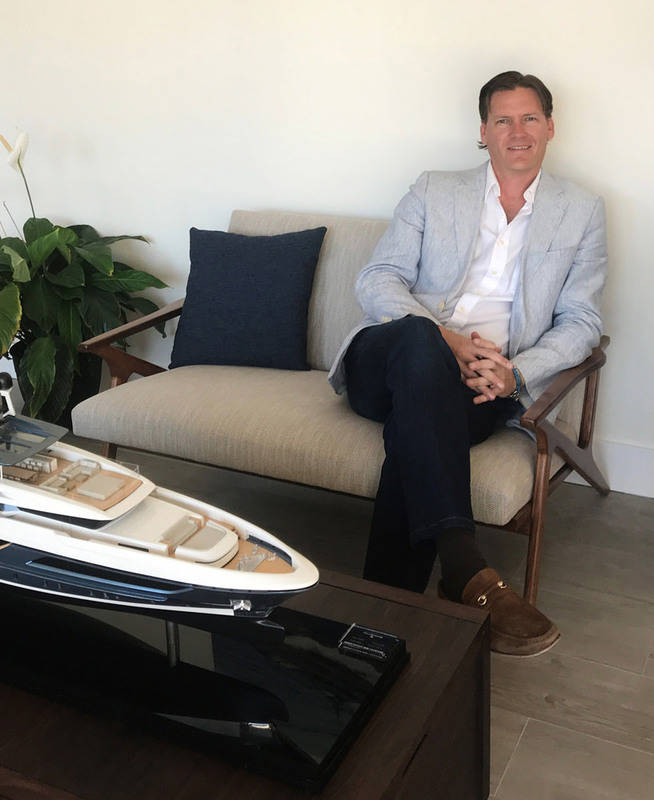 Grant Henderson, recently appointed Baglietto and CCN Sales Manager for the Americas, talks about Baglietto’s strategy in this growing and hugely important market. the new Baglietto and CCN office in Fort Lauderdale. What former experience do you bring to you new role as Baglietto and CCN Sales Manager for the Americas? I grew up in Wisconsin on the Great Lakes, where I was always on the water as a kid. The problem is that we had only a very short window of opportunity before they froze up! After college I moved down to Miami and started pumping fuel in the marine for eight bucks an hour, which I thought was an awesome first job. Then I started crewing on a 93-footer before transitioning into brokerage. Over the next few years I worked for Ocean Alexander, Marquis Yachts and Sanlorenzo. Each new job marked a step up the size ladder, and 15 years later I can leverage that experience in my current position with Baglietto. How well known is the Baglietto brand in the US? To be frank, I think this is where we have work to do. Most experienced owners are aware of the brand, but first-time owners much less so. The US economy is doing well and more people are getting into big boats, but when you look at what’s actually available there’s not a huge choice. I think we’re in a really good position to capture some of that market. This is what’s so exciting about my role as Sales Manager as my job is to make sure that potential clients in the market for a new custom metal yacht are considering Baglietto. We’re currently building a 40m yacht for an American client, but we need to have a bigger presence than we have in the past. How do Americans use their yachts differently from European owners? Americans probably spend more time on board and travel further. That means they want robust systems, plenty of back-ups and intelligent space organisation. In South Florida and the Bahamas they need more powerful air conditioning, in addition to plenty of sun protection, bigger heads and wider companionways. The more you can ‘Americanise’ the boat, the more comfortable they’re going to feel. This is where Baglietto can make an impact as a boutique builder of custom planing, semi-displacement or displacement yachts. Whatever is required to tailor a project to a client’s needs, they will do it. There’s no saying ‘no’. Just as important is the after-sales service and we’re building up our network of specialist personnel and shipyards to deal with any warranty, repair or maintenance issues. And what is the outlook for the market south of the US border? We have good contacts in Mexico, but we plan to have more of a presence in Central and Latin America. Key to penetrating the Americas in general is having a boat available for viewing at the Fort Lauderdale or Miami boat shows. It’s very hard to sell a yacht from a booth in the superyacht tent: customers want to be able to see, touch and feel the quality of construction and joinery, the space planning and design. That’s not always as easy as it sounds for an Italian shipyard, but if we can grow the Baglietto fleet over here then I can see a time in the next few years when I won’t be able to handle the sales office on my own! 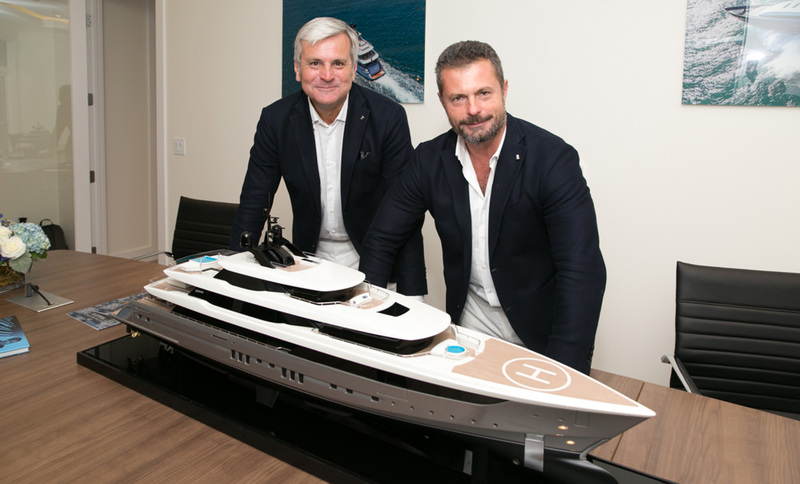 Considering the American market accounts for approximately 50% of Baglietto’s overall turnover, a figure that is expected to rise, the new office in Fort Lauderdale represents a strategic hub. “Following the delivery of 48m Andiamo to an American owner, we signed new contracts for the sale of a 54m and 40m yachts, and several important negotiations are currently ongoing with US clients,” says Baglietto CEO, Michele Gavino. Examples of this philosophy are the new models by Hot Lab and Santa Maria Magnolfi, which have a shallow draft suitable for Caribbean waters, and can also be fitted with hybrid propulsion or small, light engines for reduced fuel consumption.